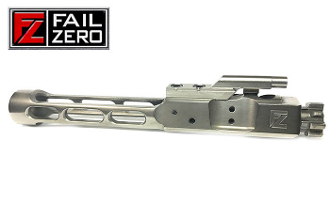 The FailZero low mass BCG provides smoother operation and less recoil resulting in faster target reacquisition for quicker follow-up rounds. This is critical in competition shooting and actual tactical situations. This FZ Lightweight BCG runs as great as it looks. Like all FailZero products it is easier to clean and maintain, and guaranteed for life.